for him. He was found frozen to death with the calves all huddled around him. SOURCE: Taken from family bible of Ray Noyes in 1918. Written by Pansy Noyes Bryant, granddaughter. On 7 Oct. 1830, at Waterbury Center, Washington Co. VT., Hiram married Rachel SCAGEL. George SCHAGEL and Sarah or Sally PIERCE. According to the family record of Caroline Atwell Noyes, daughter of Hiram and Rachel, Hiram died 2 Dec. 1849 at Waterbury Center, Washington Co. VT., and Rachel died 17 April 1843 at Waterbury Center, Washington Co. VT.
children she was a cousin of President Franklin PIERCE. 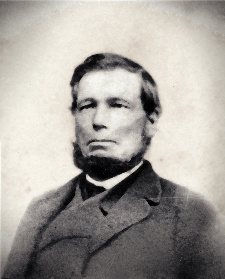 1) Hiram Scagel Atwell, born May 05, 1832 in Waterbury Center, Vermont; died July 23, 1834 in Waterbury Center, Vermont. 2) Sarah Ann Lydia Atwell, born April 18, 1834 in Waterbury Center, Vermont; died January 03, 1877 in Boston, Massachusetts; married Norman West Gilbert March 07, 1852 in Waterbury, Massachusetts. 20, 1843 in Waterbury Center, Vermont. There is no other Hiram ATWELL in the census index for the years 1830 to 1850. Also, this Hiram is living beside the Orson BRYAN family, Sarah Sally SCAGEL, a sister of Rachel, being Orson BRYAN’s wife. Another SCAGGEL in the census is on page 297A, which is Thomas SCAGGELL, a brother of Rachel’s mother. The fact this Hiram is living beside Sarah Sally SCAGEL fairly cements it that he is Caroline’s father. The “year” being recorded was from 2 June 1849 to June 1 1850, so that is why Hiram appears, his death on 2 Dec 1849 falling midway. The date the recording was made was thus August 1849 though for the 1850 census. It is difficult to reconcile this story of his being caught in a blizzard and freezing to death with Caroline giving the exact time of his death unless she was guessing an approximate time, or the physician guessed an approximate time. No other individual does she give a time of death for, only the day. I’m not saying I doubt the story that he froze to death, but because of her giving the time I wonder if he might have been found alive, then died. Another seeming inconsistency is Hiram’s father, Nathan, had died in 1844 and his mother in 1848, so he would not have been going to his father. Perhaps what had been his father’s home, yes, if a sibling was living there. His brothers James, John and Benjamin all resided in Johnson and he may have been going to see them. Though this may not be the case, it appears that Hiram may have remarried after Rachel’s death. Matilda is found in the 1880 census in her brother’s household as a Matilda ATWELL, widowed. If Matilda was the widow of another unknown ATWELL who had come to help Hiram, usually the census taker would list such a person at the end of the household instead of beneath Hiram. So, is Mary born c. 1841, an unrecorded full sister or step-sister to Caroline? If Matilda had brought children in from a previous marriage then it would seem those children would be listed under their father’s surname, though this didn’t always happen. John, it seems, is not a child of Metilda, for there is a male in the 1840 Hiram ATWELL household who does not appear in Caroline’s record. The 1840 Washington County VT Waterbury Census has the following for Hiram’s household: 1 male 5 to 10, (which would be John most likely), 1 male 30 to 40 (Hiram), 2 females 5 to 10 (would be likely Caroline and Sarah as no female under 5 is given), 1 female 10 to 15 (would be ? ), and a female 30 to 40 (Rachel). We have not only a male (perhaps John) who is in the 1840 census and does not appear in Caroline’s record, we also have a female who was aged 10 to 15 in 1840. Is it possible she is an unrecorded sister? There is no explanation for why Caroline gave no record of her father marrying a second time before his death, nor is there explanation for why she did not record this John who may be a brother, and perhaps another older sister. I doubt that John would have been a child of Metilda’s for, as noted, an unamed male occurs in the 1840 census who is most likely this Jolhn, and if he was a child from a previous marriage of Metilda’s it seems he would be given by his father’s name. And if Metilda was an Atwell relation, a sister-in-law, it seems she would have been listed after the natural children, rather than next to Hiram, as was usually the case with relatives living in a household. As a personal aside, I recollect my grandmother Dorothy telling me the story of this family. Because it was so tragic, it made an imprint and I always remembered her telling of it including a young son who had frozen to death with Hiram, and John could be that son. Dorothy could have been wrong in her telling, but I know my memory serves me correctly at least on what she related because it seemed exceptionally tragic that both the father and son would freeze to death at the same time and, as mentioned, made quite an imprint. With the telling of the story, Dorothy also had brought out a photo she believed to be of the family, though she was not absolutely certain. I know that I don’t recollect the photo as being any of the Noyes photos that I’ve since seen. 1. Birth: 1801 Mar 2 Johnson, Lamoille, Vermont. Image courtesy of Nancy Benton. COMMENT: 3 males under 10 b. 1810 to 1820, 1 male between 16 and 18 b. 1802 to 1804, 4 males of 16 and under 26 including heads of families b. 5. Matrimony 1: 1830 Oct 7, Waterbury Center, Washington, Vermont, USA. (7) Married to Rachel SCAGEL at the age of 29. She was 28. 7. Census: 1830 Place Yet To Be Located..
10. Matrimony 2: Possible remarriage. Not confirmed., After 1843. Hiram may have possibly married a Metilda (SMITH) after 1843.
is Thomas SCAGGELL, a brother of Rachel’s mother. recording was made was thus August 1849 though for the 1850 census. 12. AIS Mortality Schedule: 1850.
year prior to the census. giving the time I wonder if he might have been found alive, then died. John and Benjamin all resided in Johnson. Buried at the Old Waterbury Center Cemetery at Waterbury, Washington Co.
of the Atwell family bible 17 Feb of 1883. Courtesy of Nancy Benton. family bible 17 Feb of 1883. Asher Atwell’s copying of the Atwell family bible 17 Feb of 1883.
from Asher Atwell’s copying of the Atwell family bible 17 Feb of 1883. Feb of 1883. Courtesy of Nancy Benton. 21. Accessory Document: Caroline Atwell History by Pansy Noyes Bryant. studio of S. O. Hersey in Montpelier, Vermont. 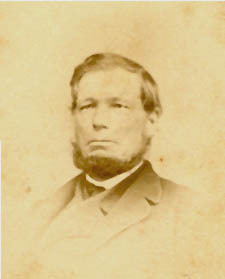 Montpeleir at the S. O. Hersey studio circa 1864-1866. 25. Edit : 2003 Oct.
Washington Co., Waterbury Center. Washington Co. didn’t exist in 1802. COMMENT: 3 males under 10 would be Thomas, Lorenzo and perhaps Francis. is unknown, the female over 45 would be Sarah. 5. Census: 1830 Place Yet To Be Located..
days after her son Francis was born. three days thereafter on the 20th. 13. Accessory Document: Caroline Atwell History by Pansy Noyes Bryant. 14. Edit : 2003 Oct.
1. Possible Child: Possible unrecorded child of Hiram and Rachel Atwell. In the 1840 census, an unknown female age 10 to 15 is in the household. could be this female was a relative. 3. Edit : 2003 Oct.
From Caroline Atwell Noye’s record. She does not provide birth place. 2. Name: Hiram is a namesake of his father and his mother’s maiden name. his birth date would then be 5 Nov 1832. 7. Accessory Document: Caroline Atwell History by Pansy Noyes Bryant. from the tiny waist to the wide hemline, as is Sarah’s here. soft curls here at the sides. She may wear a bow in her hair. photography. Her hand rests on a Victorian chair. 5. Census: Sheet 297A 1850 Waterbury Center, Washington, Vermont, USA. instead Waterbury, VT. She was 18 years of age. 7. Census: 1860 Place Yet To Be Located..
7 -14 42/43 BROOKS Nathaniel P. and Mary household. 9. Business Circular: Advertising for shop of L. S. FISH and S. A.
the chances would be there for the spring trade – I can’t sell to Mrs.
(Caroline Noyes notes:) This is the last letter I ever received from her. She died January 3, 1877, was buried at … the 5 day of January. 12. Death: 1877 Jan 3. Died at the age of 43.
this may also have been after Sarah’s death. the date of her burial. 16. Accessory Document: Hiram Atwell Family Marriage Record, Cir 1885.
family bible 17 Feb of 1883. Courtesy of Nancy Benton. 18. Accessory Document: Caroline Atwell History by Pansy Noyes Bryant. 19. Edit : 2003 Oct. Birth place an date provided by Carrie Atwell Noyes’ Family Record. 3. Name: Caroline is perhaps a namesake for her aunt Caroline Atwell. Caroline’s sister’s (Sarah) eighth birthday. 7. Sibling’s Death: Francis Atwell dies as an infant., 1843 Apr 20.
of age., 1849 Dec 2, Waterbury Center, Washington, Vermont, USA. 10. Sibling Marries: Caroline’s sister, Sarah, marries., 1852 Mar 7.
exactly going off to school. unknown whether she was one Caroline would have known. time she had Hannah M. WOLGER at No. 42 Broadway, South Lawrence, MA. Hannah W. or M. (looks like a W but could be an M) 21 House keeper b.
NY and her parents b. NY, so it seems Hannah may have died by 1880. Van Buren, Wayne County, MI. the Mills at about the same time they did. Massachusetts, but it’s likely coincidental. in her address book connecting her with both places. and also an aunt by way of being married to her mother’s brother, George. namesake of Caroline ATWELL, and was found in Caroline’s address book. having died Feb 1845 in Wisconsin. her working at Pacific Mills. address book and family history offer a few leads. and sold out its holdings for a good sum, making quite a profit. placing Caroline and James perhaps meeting about that time in Wisconsin. which gives the following name: Francis Barry Berlin Heights, Ohio. socialists and ran brief careers: “Social Revolutionist”, conducted by J.
Sun”, moved from Toledo to Be lin Heights in 1875, by John A. Laut. Bulletin”, by W. B. Harrison, commenced in 1870; and the “Index” by F. J.
Berlin Heights Ohio at the time the of the Community there. of James Allen, wrote the following on the Berlin Heights experiment. economic hilt also the sexual foundations of modern society. Society tolerated marriage, but looked upon it with disfavor. of which Free Love was believed by many the social complement. 1 Religious Experience of John Humphrey Noyes Chap. XIX. become regenerated by socialistic institutions. the sexual relation as in everything else, and no questions were asked. and by a pamphlet distributed gratuitously. Among the converts were Dr.
to sacrifice their individual happiness for the good of the community. vegetarian Medical College. It was suppressed by the authorities. Dr.
1854 twenty-six thousand copies were sold. three large editions during its first year. By the fall of 1854 Dr.
New York City, which were broken up by the police. tempting opportunity was offered to affinity-hunters. and he found it necessary to issue a statement in his own defense. were smoldering and could easily be fanned into flame. disease had become alarmingly prevalent. Married at 23 to James Allen NOYES who was 32. 15. Child’s Birth: Emma Viola is born., 1860 Dec 15. 16. Child’s Birth: Cora Rachel is born., 1863 Apr 19. 17. Child’s Birth: Victor Hugo is born., 1865 Aug 20. Emma Viola stands before James. Cora Rachel is seated in Caroline’s lap. 19. Child’s Birth: Allen Marble is born., 1867 Oct 30. 20. Child’s Birth: Paul is born., 1869 Nov 24.
should read Emma Viola, Cora Rachel, Victor Hugo, Allen Marble, and Paul. “Susan” as Asa’s wife is probably Lucy as in the 1880 census. 1847 in New Berlin, Waukesha Co. WI. Kansas-Missouri area about 1870 according to the census. Caroline Fiske who married Austin Wilbur Hall of Trading Post Kansas. Caroline Fiske and my grandmother Caroline Atwell Noyes were cousins. They visited each other when they came to Kansas and Missouri to live. Carolin Fiske Hall once brought my grandmother a gift of a paisley shawl. Austin and Amos Hall came from Eden VT. in 1857 to West point Landing. much more promising than Kansas City did at that time. During the next winter the border warfare over slavery grew very bitter. the Mo side kept stirring up trouble. the sore eyes kept him from seeing the enemy as they came toward him. ruffans came down and kicked the victims to be sure they were dead. Austin Hall stayed perfectly still and was declared dead. return to Kansas until April 14, 1865.
old home and are very prosperous. monument is erected to the Marais des Cygne Massacre. Courtesy of Nancy Benton. Transcribed as is by JMK. households from an Amos HALL. 26. Note: 1879 Mar 29. Wisconsin that Carrie may have stayed with at one time. 27. Correspondence: Letter from N. W. GILBERT to Caroline., 1879 Apr 18.
to endure the confinement and strain of a long continued city practice. would be very glad to have you come to New England again. to practice it. Please remember me kindly to them, as well, as to Mr.
find it out, and nobody can ever prove that there isn’t. sunshine will come by (?). don’t appear to be other Michigan families nearby. weeks. Caroline kept a diary for nine days. small trees and made it an excellent tying place. of two thousand inhabitants two miles from the Iron Mountain Railroad. sand ticks were very bad. sundown we came to Turnback Hill and camped. things and we are about starting. up with them later. He was never heard from again. there I was sitting in a great pan of milk. herself and written this on the inside. 32. Accessory Document: Hiram Atwell Family Marriage Record, Cir 1885. 35. Accessory Document: Family Record of James Allen Noyes, Cir 1885. Recorded by Caroline Atwell c. 1885. Courtesy of Nancy Benton. 36. Child’s Death: Victor Hugo dies of Yellow Fever., 1886 Oct 23. Ray Noyes was 13 at the time of this incident. yesterday morning between half past six and seven o’clock. We had Dr.
writing. Hope you are well and having a good time. 39. Child’s Death: Cora Rachel dies in childbirth., 1887 Oct 15.
in Lamar, MO. Must have contained the deed to their place. 41. She traveled in 1891 in Chehalis, Lewis, Washington. envelope addressed to her there. bushes you sent Allen are growing. colt are all doing well. The grass is up green where it has been burnt. Allen burnt his pasture some time ago. it was local. I understand it did not rain at all in the new country. 43. Correspondence: From Ray Noyes to Caroline Atwell Noyes, 1892 Oct 17. Well Paul has given up the place and he and Edna left today. Every thing is getting along fine and we are all well. York City relating to Carrie’s subscription. for Hiram’s eldest brother, John. census there is a 14 year old male named John. 5. Edit : 2003 Oct.
unless she had been adopted. 2. Census: Pg. 298 1850 Waterbury Center, Washington, Vermont, USA. birth place which is assumed. was born 1810 and died 1812. 5. Accessory Document: Caroline Atwell History by Pansy Noyes Bryant. 1. Atwell Family Members, Old Atwell Family BIble (Asher E. Atwell copied Feb.
(1953. Digital copy courtesy of Nancy Benton, 2003). 2. Atwell Family Members, Old Atwell Family BIble (Asher E. Atwell copied Feb.
compiler, Descendants of Isaac Cummings 1601-1677 (Worldconnect). 7. Caroline Atwell, Marriages of the Children of Nathan and Lydia Atwell (c.
10. 1820 U.S. Census – VT, Franklin Co.
Morse, Bob Morse to jk (Oct 21 2003). girl in Cartes-de-visite image from collection of Caroline Atwell Noyes. 05667). …. Bob Morse, Bob Morse to jk (Oct 21 2003). 23. Nancy Benton genealogy database drawn from various sources, some unnoted. Associated Families (2003 Word Document file). November 1876. Digital copy courtesy of Nancy Benton, 2003). 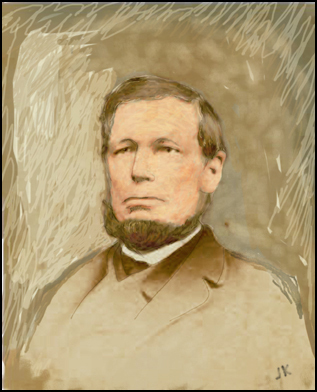 Noyes (21 November 1876. Digital copy courtesy of Nancy Benton, 2003). by jk from a scan of the original in the possession of Nancy Benton. transcribed the Nathan Atwell Family Record from the Atwell Family Bible. copy courtesy of Nancy Benton). 50. Nancy Benton, Nancy Benton email to jk (May 2 2003). July 1887 (Digital copy courtesy of Nancy Benton 2003). 1892 (Digital copy courtesy of Nancy Benton).